Cello 50in Freeview HD TV + Install is rated 3.0 out of 5 by 2. (Visible Screen Size 123cm). Built-in Freeview digital tuner. 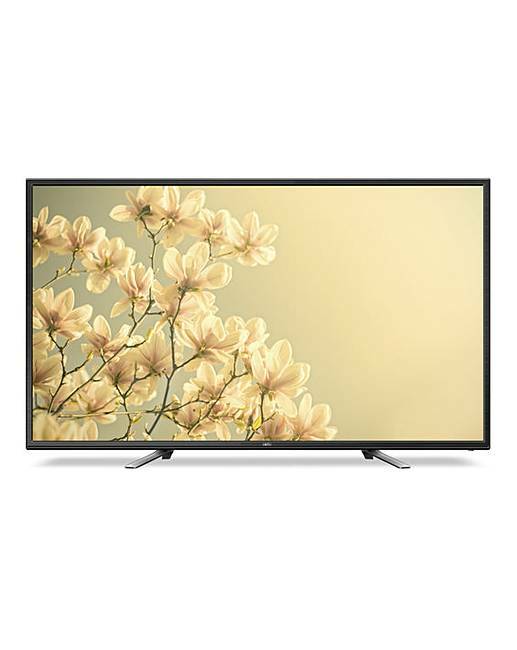 Cello HD TVs can display a picture of 1366 x 768 pixels - which adds clarity to images never before possible with analogue or standard definition digital. 1 USB port. 3 HDMI sockets. 1 SCART socket. Nicam/A2 Sound System with 2 x 8W Speakers. Headphone socket. Screen resolution 1366 x 768. 16:9 Aspect Ratio. Energy efficiency class A. Power consumption: on mode 34kW. VESA wall mount compatible. With installation. H.71 x W.113.1 x D.25.4cm (including stand). Rated 1 out of 5 by Norm from Washed out and tinny sound I immediately returned this Tv almost as soon as it was out of the box. The picture was "washed out" and impossible to adjust to a clear watchable view, despite being full HD. The sound is also ridiculously bad. This TV might have been ok about 10 years ago, but not for 2017! Avoid like the plague!